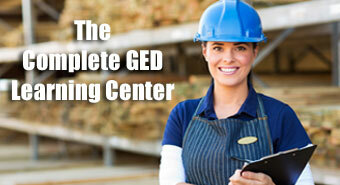 Order the Complete GED Learning Center today! This invaluable series is a great investment for public libraries, schools, colleges, correctional facilities, etc. that wish to help strengthen America’s workforce and boost the economy! Now you can study with the GED experts — on your schedule and at your pace. This comprehensive GED Review Series is the ultimate resource for conquering the exam. Featuring real teaching by real teachers, these developmental study programs start with the basics, develop your skills, and take the stress out of learning. 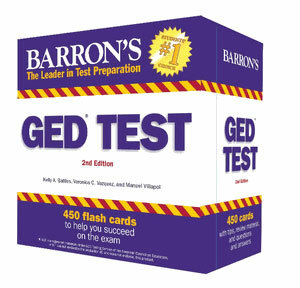 With this user-friendly DVD series, you’ll learn how to succeed on the Reasoning through Language Arts, Mathematical Reasoning, Science, and Social Studies sections of the GED exam! 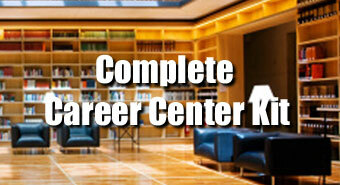 So don’t let your lack of a high school diploma hold you back — a brighter future is now within your reach. Use these 5 Minute Activities as a quick, easy, and effective plan to break the ice, fill extra minutes of class time and get students excited to learn! Each activity is calculated to last 5-10 minutes. The activities are a great way to introduce lessons, reinforce earlier learning, or used as conclusions to time management and study skills education lessons. Each bell ringer activity can be a creative and fun learning experience for students that allows them to get thinking about these topics: Managing interruptions, Stress, Note-taking, Procrastination, Active listening. 8½” x 5½” spiral bound book.